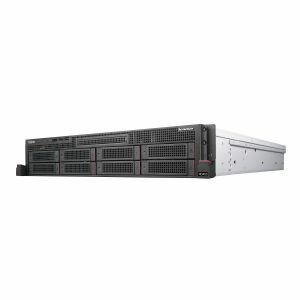 The Lenovo ThinkServer RD450 boasts the Intel Xeon processors E5-2603 v4 series. Because the RD450 uses DDR4 memory, enabling your applications to run faster and more efficiently. These gains, coupled with the RD450's highly flexible design, make it perfect for your infrastructure, collaboration and line-of-business applications, as well as web serving or hosting. Bays: 8 (total) / 8 (free) x hot-swap 3.5" ¦ 1 (total) / 1 (free) x external 5.25"